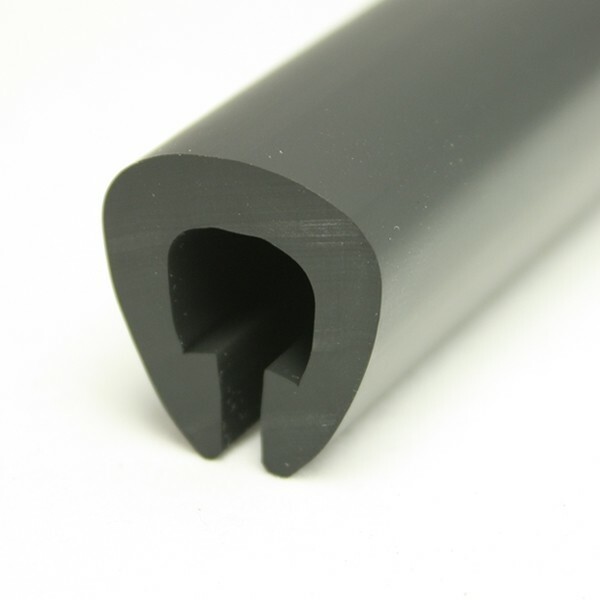 PVC 557 is a flexible PVC U fendering profile designed to fit over a 8mm plain flange to provide protection to boats. Will this product bend round the front of my boat ? 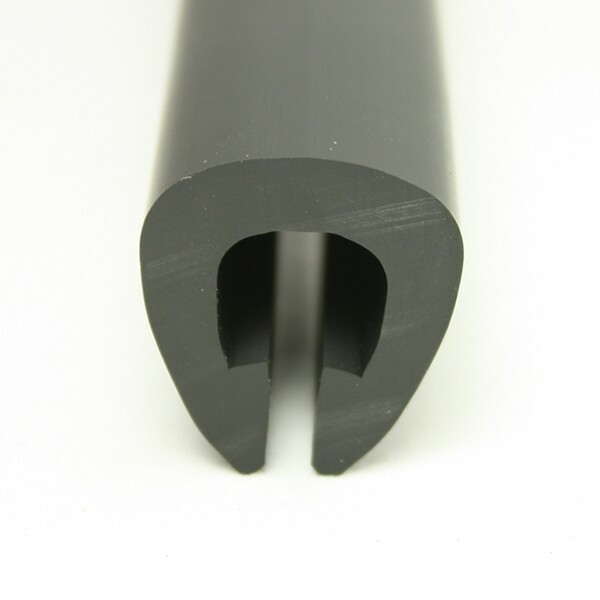 This product will bend around your boat bow without issue provided there is a radius. There are 2 schools of thought, start at the stern and stretch it out around the vessel as you go, or start at the bow after finding the centre of the roll and pulling back. Both work well. Bending can be aided by putting the material in a bucket of hot water. Allowing the coil to rotate when fitting will ease fitting and prevent the coil from kinking/twisting as you work it through. 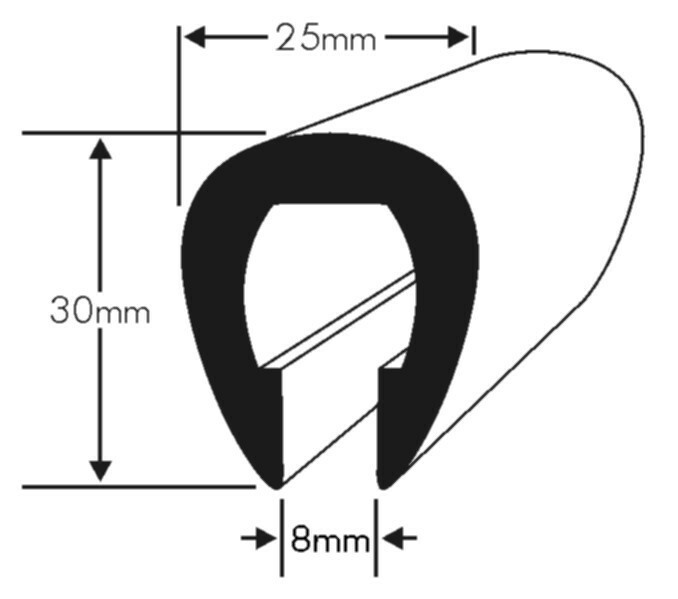 Also bear in mind as the product coils it will shrink slightly so allow for this when you cut the ends off. It is worth leaving it 24 hrs to cool before you cut it to length. We are pleased to hear that the sample was the correct fit but unfortunately this profile is only stocked in black.